Do you know what very often gets in the way of simplicity and ease? I’d never made a connection between Law of Attraction and clutter, but then recently I had one of those lightning bolt moments where I thought: Oh my gosh, of course they’re related. Of course clutter gets in the way of leveraging Law of Attraction to your advantage. Clutter is not just benign stuff. Clutter isn’t just piles of unfiled paperwork or things that need to be put away. Clutter isn’t just overstuffed drawers or a disorganized closet. No, clutter is the thing preventing what you really want from coming into your life. Clutter is the lesser in your life that’s keeping out the greater. I don’t know about you, but I love that way of looking at clutter because it feels very motivating to me. 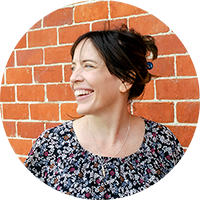 Catherine elevates dealing with my clutter from just another nagging To Do on my list to something compelling I’m called to do, inspired to do, want to do. So what does decluttering have to do with Law of Attraction? 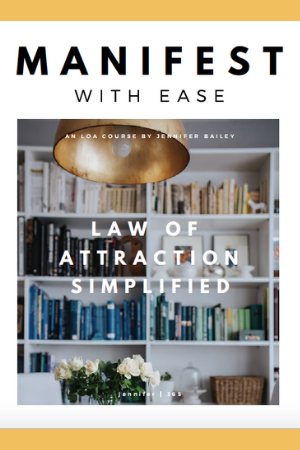 To explore that, I’m going to share ten ways clutter is getting in the way of being able to really leverage Law of Attraction to your advantage. #1: The first has to do with friction. Many women tell me they have a problem with clutter. I don’t mean at a hoarding level, but enough clutter to create persistent low-grade friction in their lives. Well, we know friction is not at the high-end of the emotional scale. So what is your friction-filled clutter attracting into your life? Probably more clutter, for one thing. Your clutter is also attracting more situations into your life to feel friction around. Like attracts like. Whatever feelings you have associated with your clutter—friction, frustration, overwhelm—you are attracting more of the same into your life. #2: Your only power to create is now. It’s not in the past or in the future. Let’s think about the past and future in terms of clutter. The past is easy, right? Clutter tends to collect around memories, around holding on to the past. Over the years I’ve noticed I’ve created these museums of a sort to my past. Keeping memorabilia and just stuff from different stages of my life experience. For instance, I had a “museum” of Red Spade, the usability company I cofounded years ago. I had physical clutter associated with that endeavor and I had a huge amount of digital clutter from that time in my life. Seriously, I could have opened a museum of Red Spade—not that anyone but my Mom and husband would have visited. My point is: Clutter tends to accumulate around the past. The museum analogy may or may not resonate for you, but my question is: Do you have clutter that’s all about the past? Then we also can have clutter that’s about the future. All the things we keep and save just in case. Closets and cupboards, drawers and garages are filled with things people are holding on to just in case they need them someday. Another kind of clutter that’s about the future is all the aspirational things we accumulate. Someday I’ll take up watercolor painting. Here are all the supplies I will need. Someday I’ll read all those books. In the meantime, they sit gathering dust. Someday I’ll get fit, so I’ll need this exercise equipment. You want to be the kind of person who paints. You want to be the kind of person who has read all those books. You want to be the kind of person who is fit and works out. So you keep the accoutrements around. Those things might have been aspirational at one time, but now they’re simply clutter. Again, your power to create is now. It’s not in the past or future. Keeping the past and future dominant in your vibration prevents you from actually creating in the here and now. #3: This one is about whether and to what degree you trust the Universe. Are you holding on to things from a scarcity mindset? Are you fearful and anxious about having what you need when you need it? In other words, have you been accumulating things along the way because you doubt the Universe will provide for you in the moment—at the time you actually need something? Having recently made the connection between decluttering and Law of Attraction, I was on the lookout for clutter. Well, it didn’t take me long to stumble on a big pile of digital clutter. I was cleaning out work-related files and folders and noticed a clear pattern: I had saved so many document and emails because I might need this someday. There were articles and emails, screenshots and checklists, newsletters and stray ideas. Things I might want to explore, try, or do someday. A course I want to take. A course I might want to develop. An idea I want to remember. An idea I might want to implement. A phrase I want to use. A procedure I might need to remember. The theme of these saved emails and documents was this: I didn’t trust the Universe to provide. I’d felt a need to hang on to all this digital clutter just in case. I was collecting and storing because I had a scarcity mindset. I didn’t trust in the moment—right here, right now—I would be able to tap into what I needed. So I accumulated, collected, stockpiled. Bottom line: I had a scarcity mindset when it came to good ideas and information. I was anxious about having what I needed in the future, so I was holding on to everything in the present. I didn’t trust the Universe to provide the right information or idea at the right time. Rather, I was stockpiling good ideas because I was afraid I wouldn’t be able to gain access to a good idea when the time actually came that I needed one. My stockpiling had morphed into hundreds of saved emails and documents. And, yes, I’m sure there were some great ideas in the pile. But there was also a lot of noise and static. Despite the sheer number of saved documents, there was an energy of scarcity rather than abundance. So I deleted all of them. I didn’t sift and sort to try to find the best ones to save. I deleted them all. And now I’m having faith the Universe will deliver the right idea to me at the right time. How much of your clutter is a direct consequence of your definition—or lack thereof—of enough. Ouch, right? We’ve all been there and done that. So what is enough? And when do we go way past enough to clutter? Are 10 pairs of shoes enough? What about 100? What is enough when it comes to stocking up? Is it enough to have a different outfit for every day of the week, the month, the year? What is enough when your garage and closets and cupboards are overflowing? Is it enough to have craft supplies for a few projects or more projects than you could complete in a lifetime? What is enough when you buy something only to realize you already have one you forgot about? If you have clutter, could it mean you need to redefine what is enough? #5: When you’re holding on tight to things, you’re not open to receive. Are you holding on tight to things—and has doing so resulted in clutter? Think about what happens when you’re gripping something in your hands. Fingers clenched together around it. You can’t be holding on tight to something and at the same time have your hands open, palms up to receive. So many of you feel bogged down by your clutter, weighted down, but still you hold on to it. If you want to be light, it’s time to declutter. If you want to receive, it’s time to declutter. #6: This one is about downstream vs. upstream. Clutter is very upstream. If you’re “fighting” your clutter and feeling bogged down, that’s upstream. If you’re feeling stressed and burdened by your clutter, that’s upstream. Remember: Everything you want is downstream. Where there’s flow and it’s easy. Clutter happens to be one of the most common tolerations people have. That probably doesn’t surprise you. Especially if you’ve experienced first-hand the energy leak in your life of clutter. Decluttering will help you stop fighting against the current going upstream, turn downstream, and really leverage Law of Attraction. #7: This one is about appreciation, which we know is key to leveraging Law of Attraction. Well, we don’t appreciate our clutter. We might appreciate some of our things—certain material possessions, but it’s different when things start to be perceived as clutter. 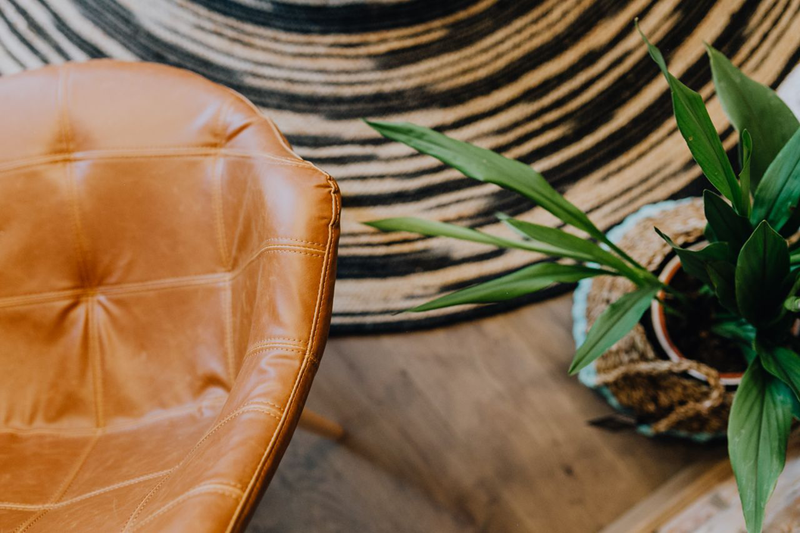 Because they go from simply being material possessions we might truly appreciate to being considered clutter that’s causing friction and overwhelm. Bottom line: When you look at your clutter and feel gunky feelings, you’re not in the frequency of appreciating. And that’s not what you want for your LoA practice. 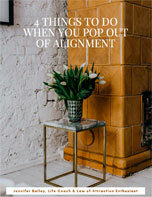 #8: Clutter throws you out of alignment. When you open the closet door and see everything crammed and jammed in there, you feel overwhelm. Now if you can look at your pile of stuff and feel good, then you probably wouldn’t call it clutter. In that sense, clutter is in the eye of the beholder. I probably have fewer possessions than many, but someone could look at what I do have and see clutter. Likewise I could take a peak in your closets and feel my stomach start to clench with stress—because I perceive it as clutter, but you’re absolutely fine with what’s in there. Bottom line: If you look around your environment and see what you would call clutter, I’m going to suggest it’s throwing you out of alignment. #9: Clutter distracts you from what you do want. Clutter is what you don’t want. So if you’re noticing and feeling drained because of your clutter, then it’s holding you back from what you want. That’s pretty straightforward. When you pay attention to your clutter—to what you don’t want—it holds you back from getting what you do want. I think this is one of the most insidious things about clutter—how it can obscure what really matters to you. It does this by what you see around you in your environment. But even more importantly, it clouds your energy. Clutter obscures on an energetic level. It distracts, bogs down, and misleads. Trust me, stuff is not why you’re here having this life experience. Chances are, if you’re dealing with clutter, it’s preventing you from manifesting the life you really want. I want you to get rid of things that no longer serve you. That includes thoughts, beliefs, behaviors—and clutter. When you declutter, you clear stagnant energy and create space for something new. So decluttering gets energy flowing. Are you ready to feel free and light? When you look around your environment, what no longer serves you? And will you release it?